Three miles of powder soft beach and two miles of manicured ocean front Promenademake Seaside a popular tourist town. A pleasant 90 minute drive from Portland, Seaside is a first choice destination for north and southbound travelers. Discover Seaside’s secrets on foot or pedal through downtown’s colorful streets. They’re lined with greenery and flowers – but no parking meters! You’ll find dozens of delightful mini-malls, specialty boutiques, antique shops, art galleries, museums, arcades and cinemas. Ride an elegant steed on the Town Center Carousel and don’t forget to visit the famous Seaside Aquarium, where playful seals and spectacular sea life are the highlight of any trip. Take a casual stroll along the Promenade and enjoy the Turnaround at Broadway in the heart of Seaside. Broadway has many shops and activities for visitors. Just a few minutes from downtown, the wonders of this magnificent coastal wilderness are waiting to be discovered along many secluded walking and hiking trails. Seaside is for sports! Home of a variety of marathons, Seaside is also perfect for swimming, surfing, kite flying, volleyball, golf and tennis. Steelhead, trout, salmon and other game fish are just waiting to challenge anglers. And Seaside’s 12th Avenue bridge is a crabber’s delight! For those who have developed an appetite during their stay, there is a satisfying array of restaurants, taverns and eateries in town. Delectable fresh seafood, the renowned Oregon wines and savory specialties of the house mark the excellence of Seaside’s dining experience. Located downtown on the Necanicum River, the Seaside Civic and Convention Center hosts a spectrum of events, conferences and functions in one of the finest facilities on the West Coast. And for lodging, Seaside offers accommodations in every price range, with a variety of charming bed and breakfast inns, condominiums, hotels, motels, resorts, R.V. parks and campgrounds – most within an easy walk of the beach. Seaside has a rich historical past as it marks the end of the Lewis and Clark trail and is a national landmark commemorated with a statue of Lewis and Clark. There is also a reconstruction of the Salt Works. Seaside has hundreds of other delightful secrets to discover every day. 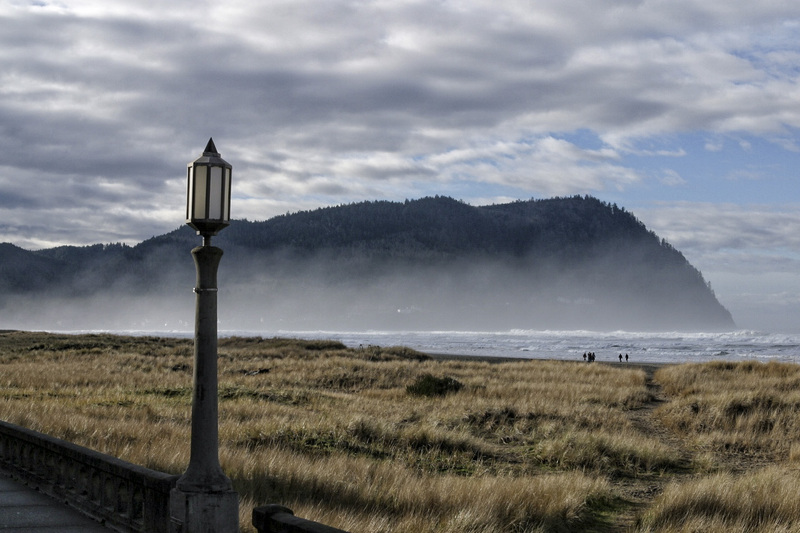 No wonder it’s Oregon’s first and favorite family coastal resort town. Come to Seaside and discover a few Seaside secrets of your own!